An AutoSOLO comprises a number of timed, forward direction only courses, on sealed surfaces. Printed routes are available to each competitor prior to the start and are clearly marked with road cones to allow drivers to concentrate on the driving rather than finding their way. 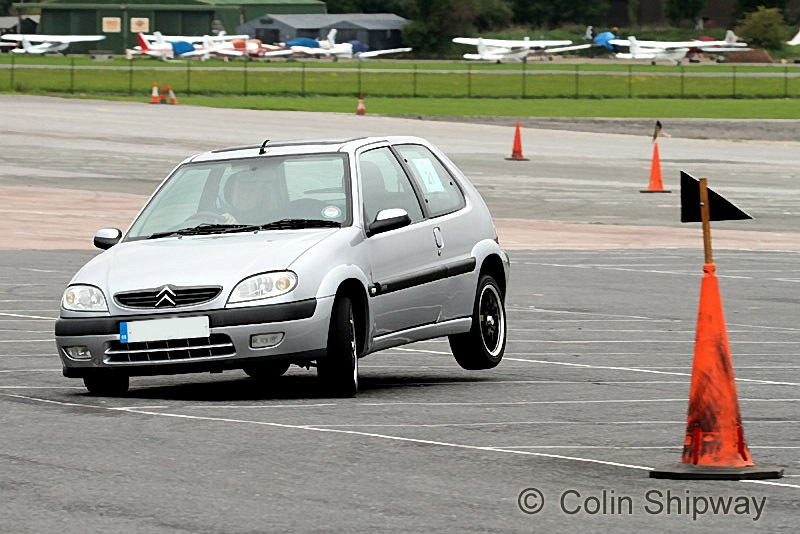 Normally three or four different courses will be set up during the event and will generally be less complex than traditional autotesting, without the need for handbrake turns or reversing and with a longer course drivers can get into more of a rhythm and slightly higher cornering speed. As well as awards in each class, there's an overall Fastest Time of Day award, for the lowest total time. Some clubs also give an award for best performance on Index, intended as an award for which every class winner has a chance. This applies correction factors between the classes, based on the results of previous events. A club membership card is usually all that is required. Cars must be taxed, insured, have an MOT certificate if their age requires, and be driven to the event. Safety and organisational requirements are similar to autotests, which keeps costs and entry fees low. Any roadworthy car is acceptable and we have seen most types of vehicle compete, even a Volvo estate. There are various classes for the different types of vehicle so that you will generally be competing against similar cars. A ground sheet or something similar to empty all the accumulated “useful” items out of the boot including the spare wheel. Entry fees are currently around £30 for our North Weald events, which generally gives you four attempts at three different tests. The club runs two Autosolos per year, generally in July and September. Depending on how hard you are trying tyre wear to outside edges can be increased. It might be possible, if you totally ignore all the advice you have been given and drive like a total lunatic, to turn a car over although this is most unlikely and extremely rare. Just with any sort of spirited driving gearboxes and driveshafts might be vulnerable.